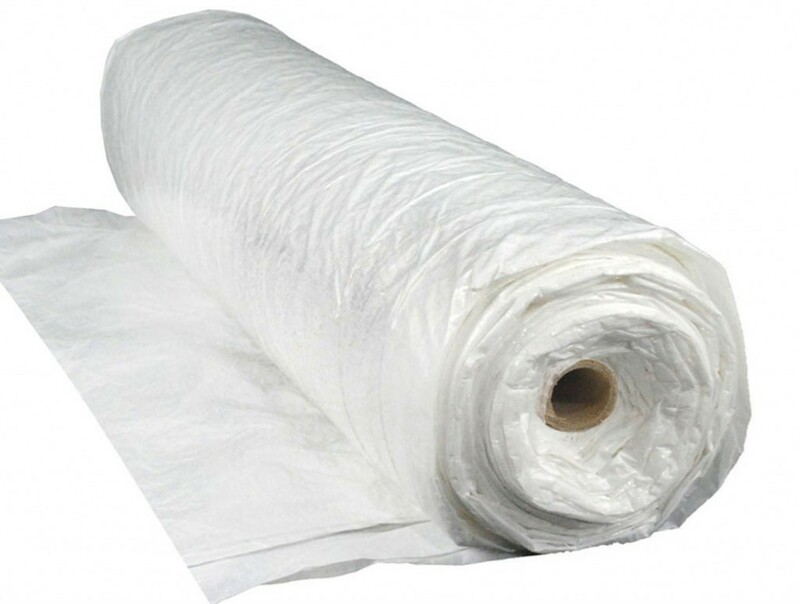 Woven Reinforced Poly is a coated woven tarpaulin sheeting manufactured from high strength polyethylene. The woven sheeting is finished with a weather resistant coating and UV treatment for maximum life expectancy. 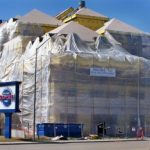 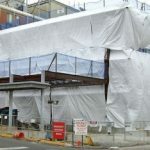 Woven poly is commonly used to cover equipment, dirt, temporary enclosure, construction weather wrap, containment or ground covers. 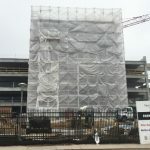 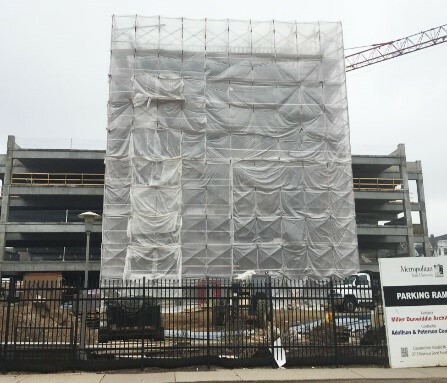 Woven poly may be installed vertically using scaffold wind clips, bungee ties, tie wire, wood furring strips or fastening directly to a building or structure. Heavy duty woven poly sheeting is tested and approved to meet today’s industrial and construction standards.